With the start of Beta 2 coming closer, we are releasing “Darian”. This is the last update before the start of the New World and the long-awaited wipe. You can expect Beta 2 to arrive this summer! In this update, we will release content we still need to test before the next beta phase. This includes the Morgana Faction rework, as well as 12 new weapon skills, new furniture, improvement of the Learning Point system and the new Item Study feature. We have also fixed various bugs and issues, and have improved the localization of the game. Read more about Darian in the changelogs. The first phase of Morgana’s Faction rework is now live! Solo-play monsters are easier dealt with, in order to prevent interference with PvP fights. 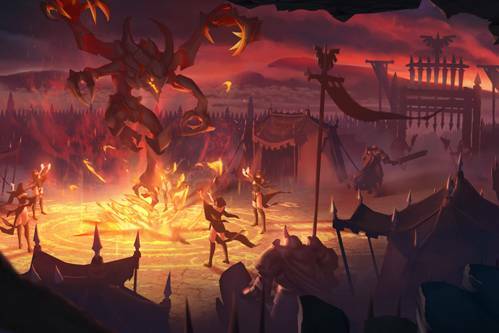 Morgana’s dungeon crawlers have received a significant boost and an array of new spells and abilities, making high-tier PvE more interactive and challenging. You can read more about the Morgana’s Faction rework here. 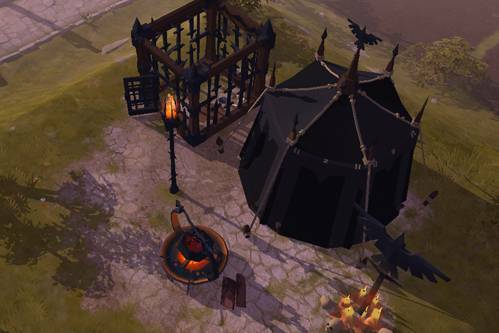 Morgana mobs have a chance of dropping Morgana-themed furniture pieces. These pieces resemble part of a Morgana mobcamp, ranging from simple standards to a full-blown siege ballista. If you are not interested in furniture, you can salvage them for a fair amount of silver. You can check out the new pieces of furniture here. 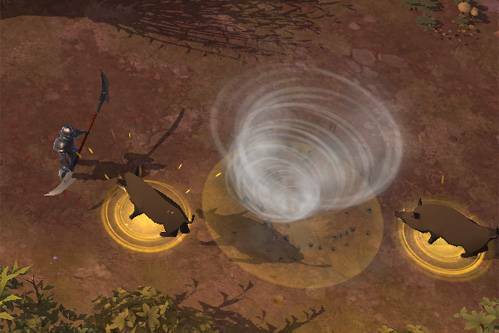 A total of 12 new spells are added with Darian. Found on the second and third slot of various weapons, these new spells provide an array of unique combinations and tactical choices. Some of these spells will be moved to other weapons after the wipe, as we have other plans in store for them. You can read more about other new spells here. With this new feature, you will no longer need to salvage or underprice unused items from crafting. Study them instead, granting you fame towards the same Destiny Board unlock that crafting the item would. Studying an item will destroy it and you can only study items that you are able to craft. You do not need to craft the item yourself in order to study it, but items need to be at full durability. 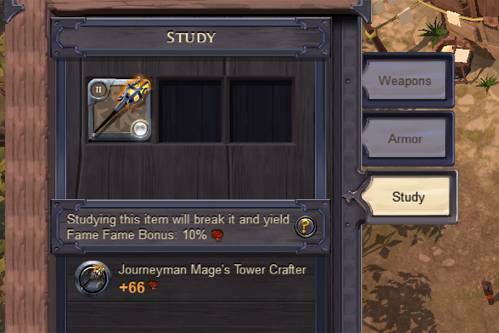 You can read more about Item Study Crafting here. 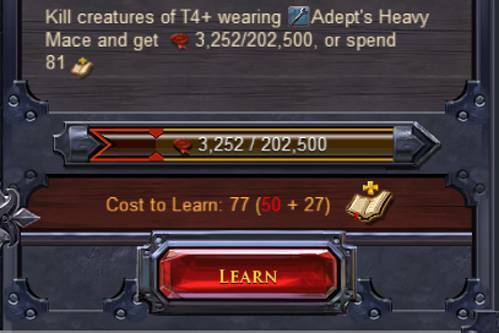 You will no longer need to gather the first 20% Fame before being able to use Learning Points, but are now able to use them to advance to the next Mastery Level right away. However, the first 20% will cost substantially more Learning Points than the remaining 80%. The 1/2 and 2/2 parts have been removed from the progression description. Instead, all requirements are formulated in one sentence. New spell indicators have been added to the game. This quality of life change gives improved visibility to Area of Effect spells that require to charge up. 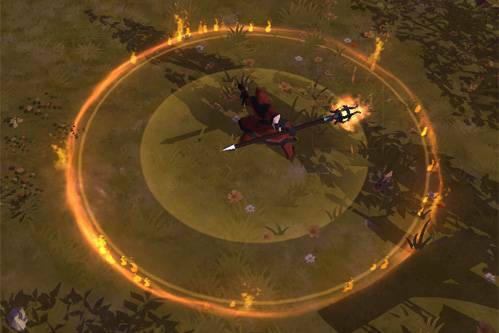 You will now be able to see how far your spell has charged, by looking at the Area of Effect animation on the ground. 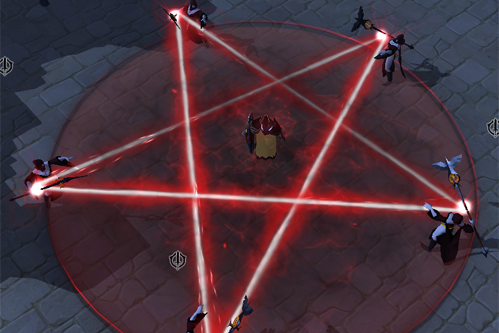 The spell will charge up from the middle of the circle. After deleting a character, the name will now be reserved for you for 72 hours. No one else will be able to take your previous character name. 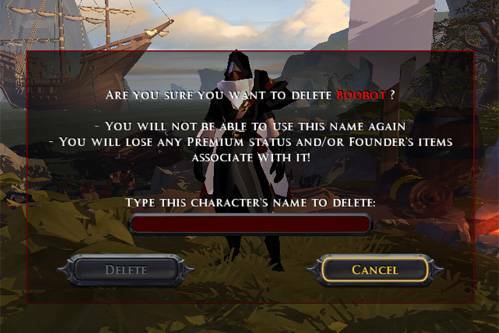 If you fail to recover the character within 72 hours and another player has taken the name, you will not be able to get your old name back. You can recover your deleted character at any time. All fixes and improvements can be found in the change logs.